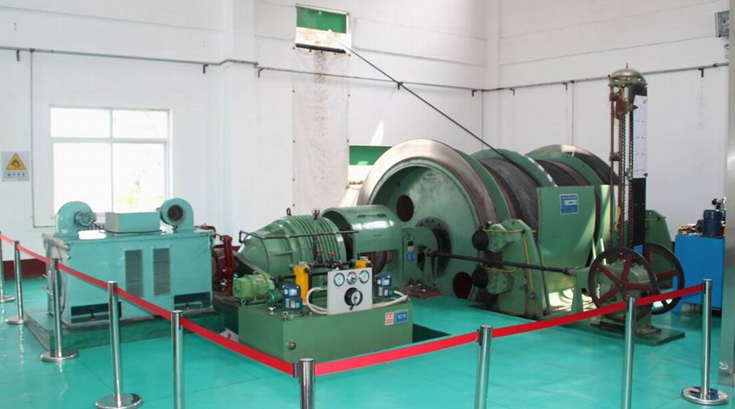 Scherer MG80 / 120 type of screw coal combine a new machine with the recommendations of the screw. It has a built-in motor movement and a transverse recess coal. 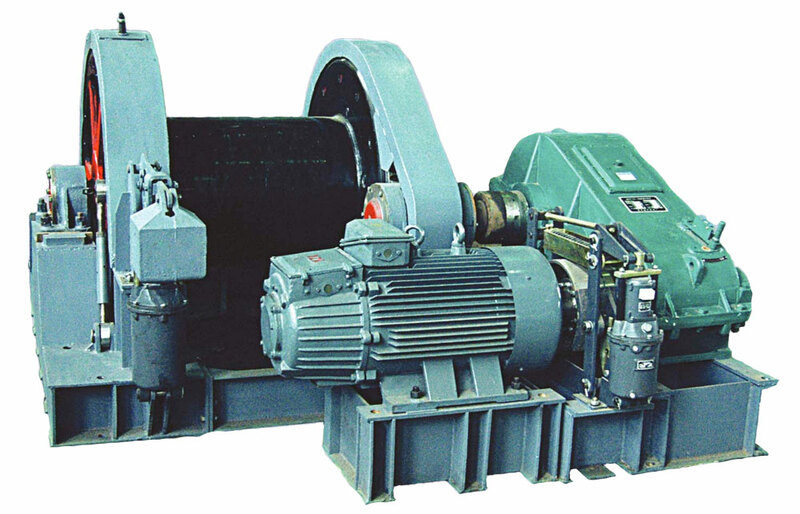 Harvester with a hydraulic supply system, which is used in the coal seam of low power. The total installed capacity of 120 kW. This cutting 2x40 kW electric motor and the feed portion 40 kW. 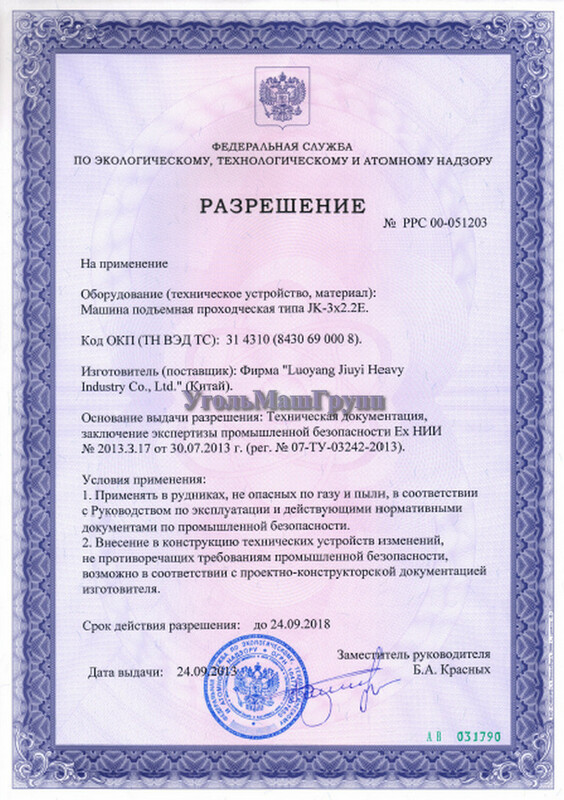 Voltage 1140V. 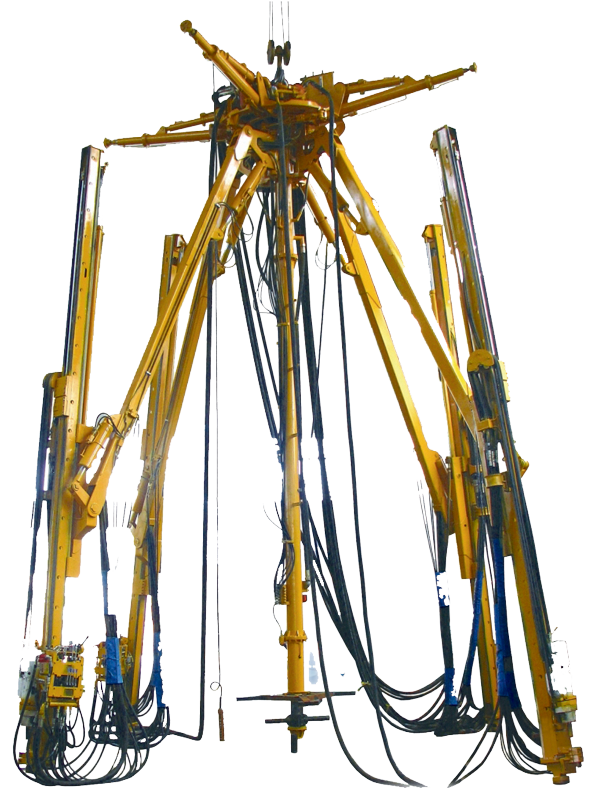 The hydraulic supply system and is used with an adjustable rack gearing. Harvester designed to operate on layers of 0.65 to 1.2 m at angles less than 30 ° and medium strong working surface. It is used for mining of coal, mixed faces the fortress of rocks less than f = 5, as well as the workings of softwood and construction of utility tunnels. Roadheader can cut, load and transport the rock mass simultaneously with loading railcars, conveyor belts and motorized belts. 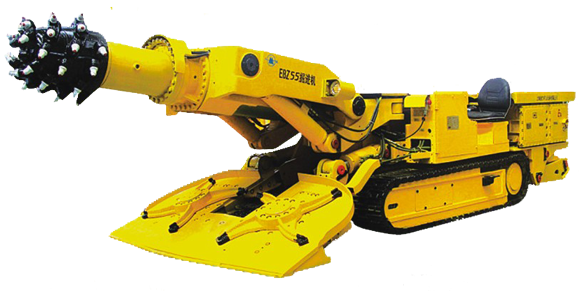 Harvester has a compact design, low center of gravity, easy to manage, has great potential in the destruction of the manual control of the breed. Roadheader has a configuration corresponding to a high international level, internal and external control systems with dust. Gearbox and hydraulic suspension combine integrated and highly integrated. The middle part of the transport system has a joint and a large dump height. The combine has an LCD display with a demonstration of the functions in the dynamics, easy to manage and maintain. Comprehensive electrical protection higher than the national standard. 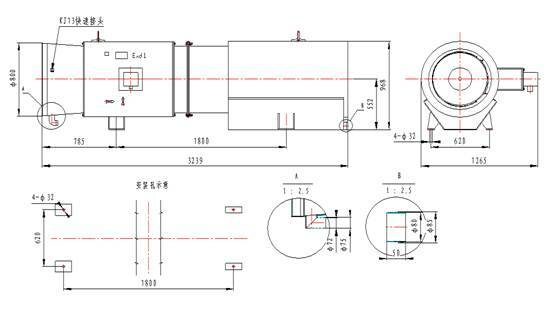 The hydraulic system of tunnel boring machine has the function to maintain a constant pressure in the hydraulic system, the pressure in the line contour cutting and loading circuit is sensitive overload protection. The machine is widely used for drilling in different directions for tunneling faces the soft coal and mixed faces, for penetration of softwood. Also harvester used for laying railway tracks and roads, as well as for the installation of water reservoirs. 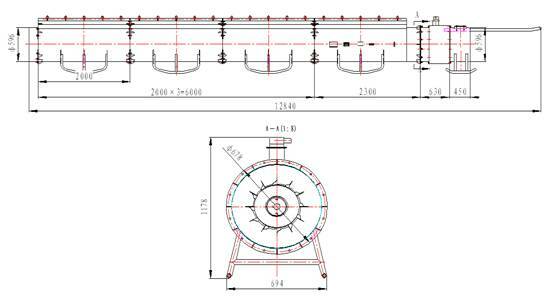 Removable cross-sectional area from one position - 13.5 m², a longitudinal tilt angle ± 17º. The optimum height for the job - 2,1-3,2 m.
Mining Dump Truck UK-15 is used in underground mines and tunnels to transport the ore and rock materials. On UK-15 is the original engine DeutzTCD914 129.8KW / 2300 low-emission. 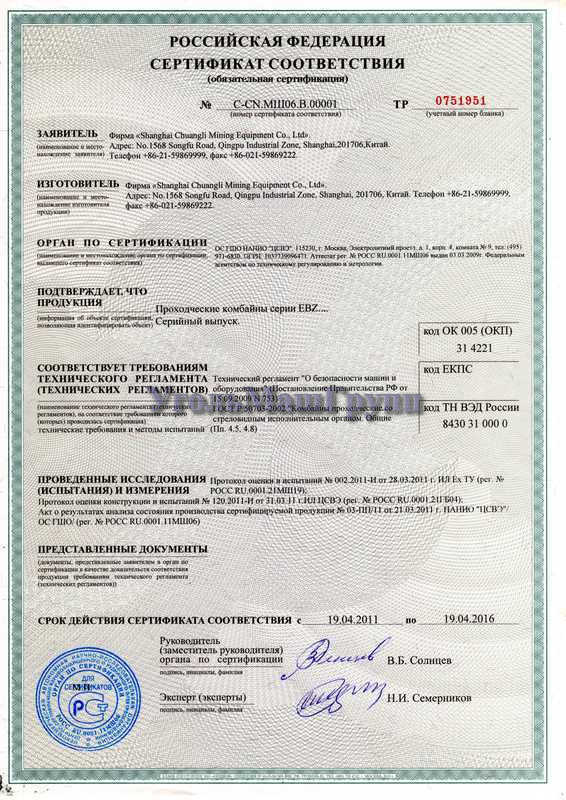 American converter CLARK, hydraulic transmission and bridges Kessler, American hydraulic braking system Mico, italyanskayavyhlopnayasistema with catalyst and silencer, and other key components of well-known brands. Brakes oil cooled disc provides stability and safe braking. Tipper UK-15 is made from high-strength, wear-resistant steel for long service life. 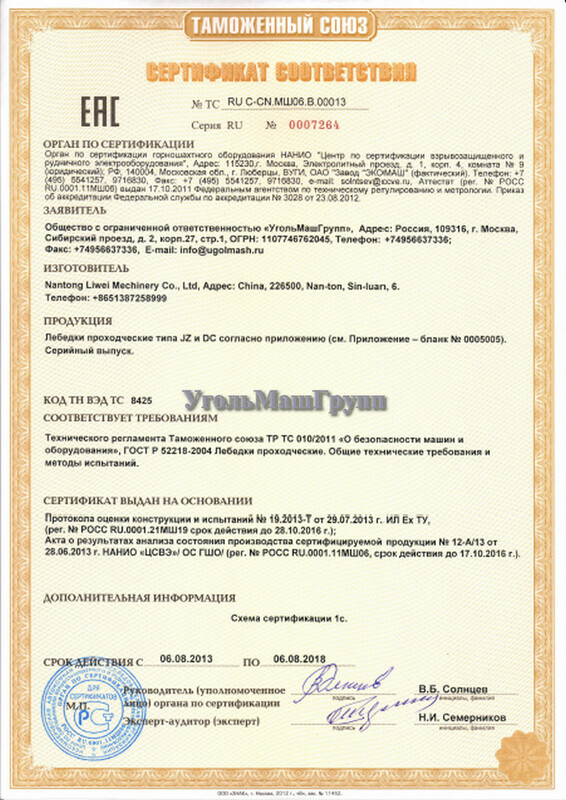 Italian system exhaust purification catalyst and muffler. The cutting edges HARDOX500 (Sweden). 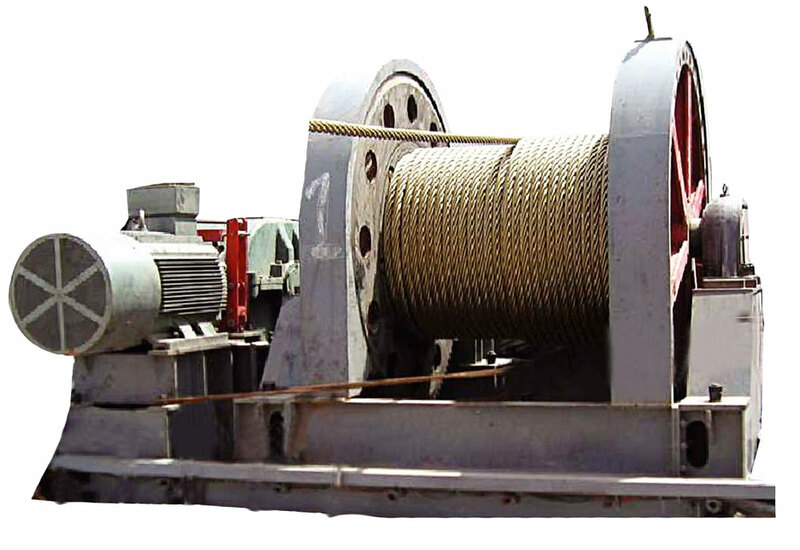 Sinking Winch design of the brand JZ, proekts and manufactured on the basis of the requirements "of sinking winch" under the number GB / T15112-2007, and it complies with the "Rules of safe production in mines" under the number GB / T3811-2008. 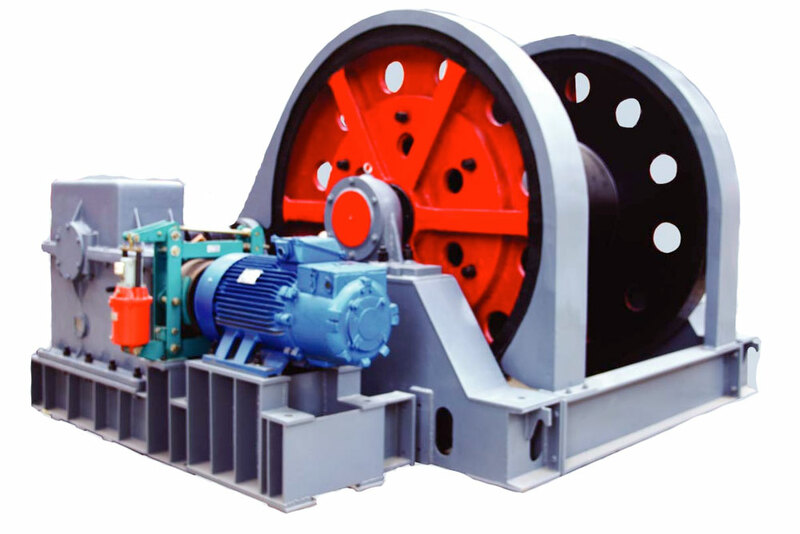 This winch is primarily intended for sinking a vertical shaft in the mine, in the mines, as well as in a stationary position on the foundation. To supply anything is possible in power and the length of the rope. 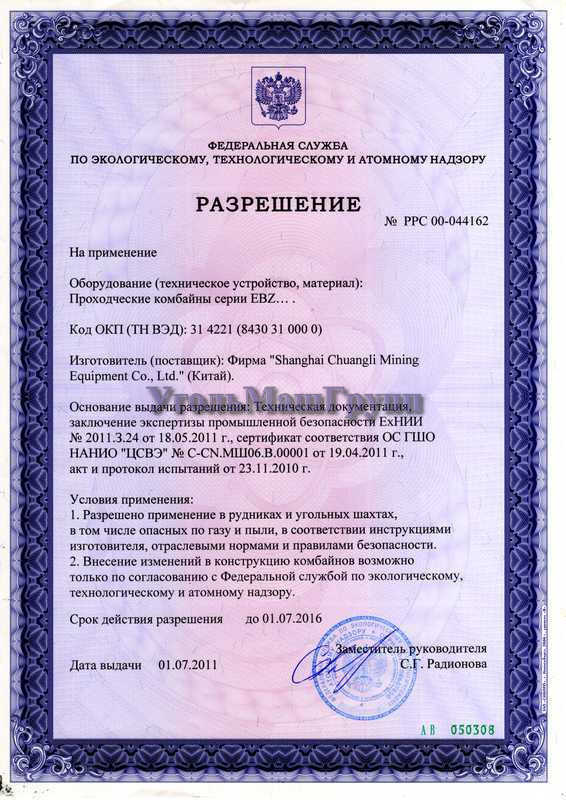 Mining Hoist 2-drums It is designed for lifting and descents of materials, equipment and personnel of the transactions in the mountainous land site underground vertical and inclined trunks, as well as for the transport of materials in mines and lift the bucket when driving the trunk. 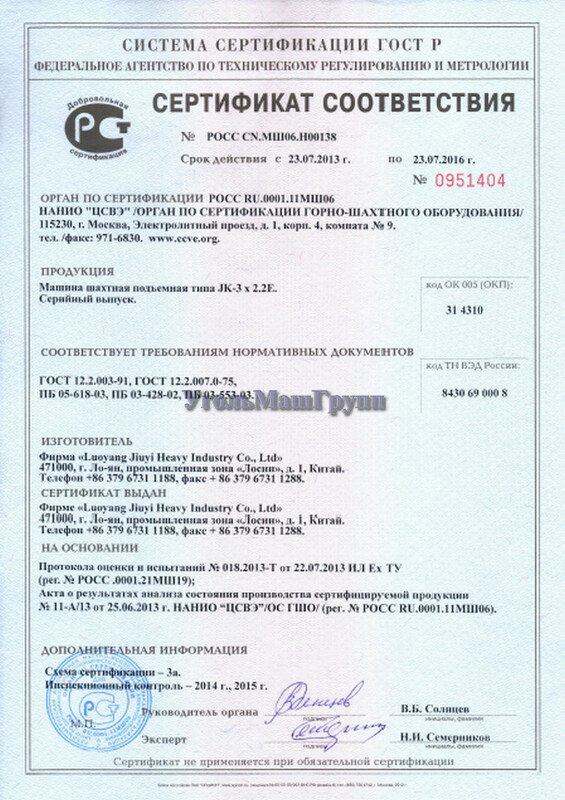 Pipeline (the pipeline section battery) 40 м. Installation with contact locations for connection to the monorail.